The Wesley Street Supportive Housing Project was the first city-owned site for supportive housing in Nanaimo. 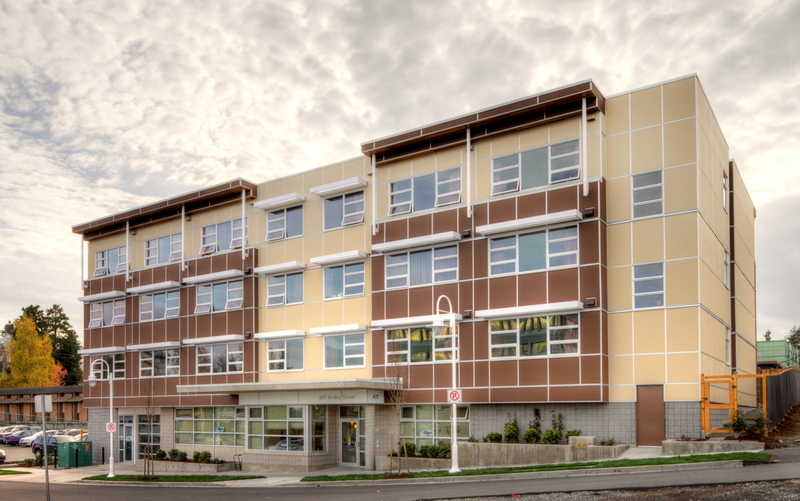 This project , which was completed in 2012, was recently certified LEED Gold, due to its commitment to best environmental practices, some examples being: erosion, sediment and storm water control during construction, building storage facilities for bicycles and water efficient landscaping. 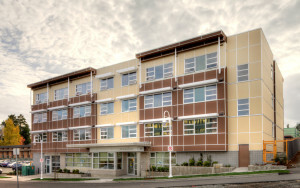 This project was partnered with BC Housing and the Canadian Mental Health Society to build 36 studio apartments, to provide accommodation for homeless men and women, who are battling additions and mental health issues. Along with the self-sufficient apartments, additional space for counseling, administration and meetings were built. 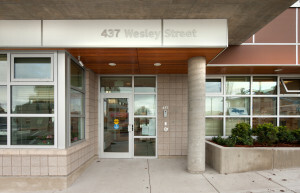 There was also a courtyard designed for all residents to use as a public space.